The West Beach Hotel was built during the Edwardian period at the end of the 19th century, and combines modern interior decor with a rich Victorian architectural style. We are located in one of the most vibrant and upcoming areas of Brighton, conveniently located in the city centre opposite the Old West Pier. With good transport links to reach any part of the city and the breathtaking Sussex countryside, the West Beach Hotel is one of the most ideally located properties on the Sussex coast. 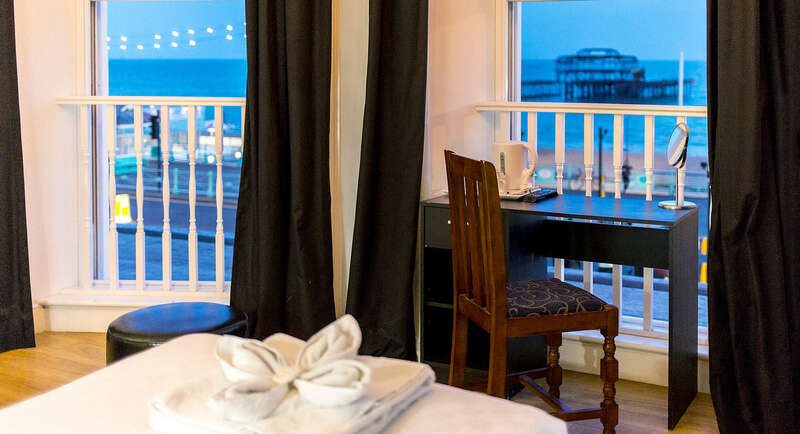 Set on Brighton's idyllic seafront and overlooking both The West Pier and i360 British Airways tower, the West Beach Hotel's location is nothing short of spectacular. Whether you are a weekend-escaper seeking to enjoy relaxing strolls along Brighton's sprawling seafront or just need a base to explore the lively city centre, the West Beach Hotel gives a warm welcome to every traveller. 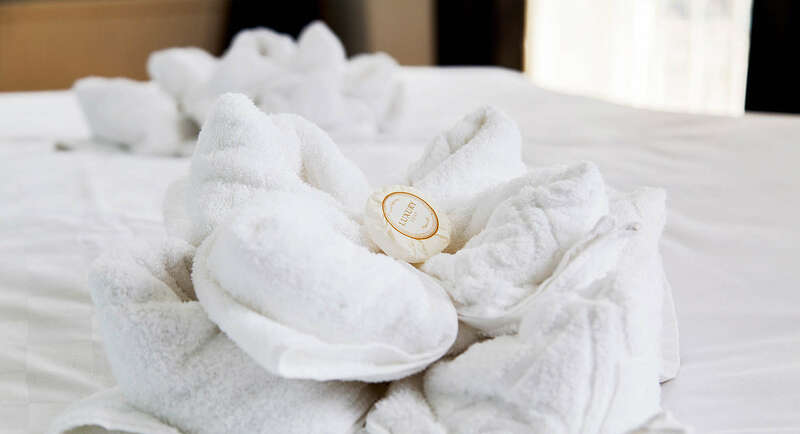 Guests can enjoy the comfort of 52 ensuite rooms that are renovated to a high standard and all come with modern bathrooms, shower facilities and comfortable furniture. Each room is equipped with a flat screen TV, Free WIFI, and kitchentte facilities that include a fridge, microwave, crockery, and a sink, Furthermore all rooms come with tea and coffee making facilities, and a 24 hr reception for your convenience. With its history dating back to the reign of King Edward VII, The West Beach Hotel combines vivid Victorian architecture and a prime Seafront location, and affords guests the chance to enjoy a relaxing stay whilst offering exceptional value for money.